Wealth management clients are swamped with information, often not relevant to their interests. Wealth management firms are seeking ways to tailor client relations within the constraints of increasing compliance requirements and cost pressures. Credit Suisse and Move Digital have made FT journalism part of their wealth management process by linking news, research and customer data. FT journalism is a trusted and familiar source and provides insights for conversations with clients. More informed relationship managers provide better advice. This improves client retention and attracts new clients. The licensing and technology solutions can scale to bring best practice to all customer facing staff and productivity gains. Wealth management clients experience information overload. “There is too much content which adds no value” confirms Yves-Alain Sommerhalder. “MiFID II, the updated version of the Markets in Financial Instruments Directive, will force an evaluation of the research that banks produce. 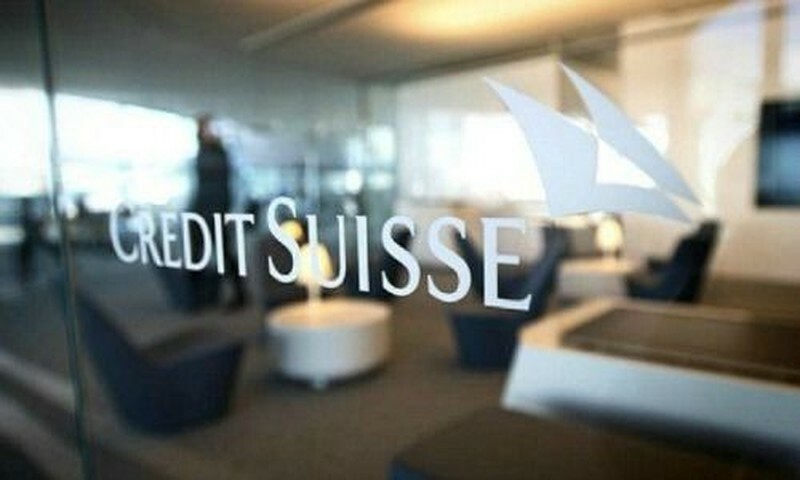 At an early stage of the development of the new solution, Credit Suisse was looking for an independent source of trusted global market intelligence. It identified the Financial Times, which is recognised for its authority and integrity. “It takes time to consolidate and standardise the different data sets and to persuade colleagues to adopt a new technology” admits Mr. Sommerhalder. “Ultimately this approach has the potential to be transformational for the bank and for other banks that use the Move Digital solution.” Mohammed Alaoui is a Founding Partner at Move Digital. He and his team pioneered the use of the FT’s API (Application Programming Interface) and metadata for investment management. They began back in 2013 to develop services based on FT content. “We are using the Financial Times as a source for several reasons. First, it is very important to have a common and trusted source of reference for wealth management clients and their advisers. It provides a shared ground to discuss ideas. Secondly, relationship managers value its independence. In fact, the trust in the information they are using together with the familiarity with a topic, are key to the confidence of the relationship manager. Thus, the use of the FT as part of the investment processes, increasing their confidence and thus their effectiveness. As an independent provider of news and analysis, the FT offers Credit Suisse wealth managers information they can trust. This helps to strengthen their relationships with their clients. To support the transition of this project from development, adoption through to commercialisation the FT offers flexible licensing terms and pricing. In return, Credit Suisse provides insights on the usage of FT content within the platform. Credit Suisse also gets full value from its FT Group Subscription by amplifying best practice. The FT’s Relationship Manager is connecting FT.com subscribers at Credit Suisse with the team working on Move Digital. These subscribers have already demonstrated from the way they use FT.com that they are highly familiar with the FT and how to get the most value from it in their work. These super-users of FT content will help Credit Suisse better understand which business area already benefits from using the FT, and how. This best practice focused approach has the potential to help all customer-facing staff at Credit Suisse, not just a few individuals. Many companies in financial services follow a procurement policy where staff must pay for their own FT subscription. This way, the knowledge provided by the FT remains in silos. By using state of the art technology, Credit Suisse capitalises on the opportunity to use the Financial Times premium content collectively to increase productivity of its relationship managers and the returns for its clients. This case study demonstrates that the FT is not simply a newspaper that is bought by an individual on their way into the office. Instead, the Financial Times provides digital solutions that are integrated into how organisations do their work, relate to their customers, and help teams be more productive with a collective intelligence. Credit Suisse is one of over 4,000 institutional customers using the FT digitally to improve productivity, by integrating its information and analysis into its business processes. The Financial Times extracts the intelligence that is relevant to your business and delivers it via your organisation’s media and technologies, helping you work more effectively. Easy administration. Single Sign On, product training and usage reporting.